EDINBURG — Two of the most highly anticipated trials in recent county history are set to begin in the coming weeks. In the next several weeks, the trials in the Monica Melissa Patterson and former priest John Bernard Feit cases will begin, but their high-profile nature have created delays in the former’s court proceedings due to the national media attention surrounding the circumstances of the latter — a cold case that’s already been featured on CBS’s 48 Hours. Beginning Sept. 18, jury selection will begin in the Patterson case, which stems from the capital murder charge facing the 50-year-old former director of local short-term hospice facility Comfort House in connection with the January 2015 death of 96-year-old Martin Knell. Most recently, in late August, a group of potential jurors filled out questionnaires in preparation for jury selection in Patterson’s trial. The Feb. 9, 2016, police mugshot of John B. Feit, who was indicted by a Hidalgo County grand jury for the 1960 murder of Irene Garza. Her trial will precede the Feit cold case, which involves the 84-year-old former man of the cloth being accused of killing and dumping the body of Irene Garza, a popular school teacher and local beauty queen nearly 60 years ago. Although unrelated, Feit’s jury selection has been pushed back due to a delay in the Patterson trial created by one of her many attorneys, O. Rene Flores’ involvement in the Feit trial. Patterson’s defense team, which now includes four high-profile attorneys, has filed numerous continuances, of which District Judge Noe Gonzalez has begrudgingly granted. The aforementioned delay will likely push the start of Feit’s trial into mid-October, according to District Attorney Ricardo Rodriguez. Despite this delay, the prosecution, led by Assistant District Attorney Michael Garza who’s of no relation to the slain, and the defense, led by Flores, must now begin whittling down a large pool of potential jurors this week. Beginning Wednesday and ending Thursday afternoon, 800 potential jurors will be empanelled inside the courthouse’s auditorium, ending with the group who will move on to the jury selection phase. Patterson is the daughter of former Hidalgo County commissioner Hector “Tito” Palacios, a well-known figure in the county after a more than 15-year tenure in Precinct 2, as well as stints as San Juan mayor and school board president for the PSJA school district. Knell, a World War II veteran whose wife was a patient at Comfort House Inc., died Jan. 28, 2015, moments after Patterson and Mario Garza, a handyman, visited the victim, according to Knell’s caretaker, Celestina Mascorro. Mascorro, weeks after Knell was buried, went to the Texas Rangers and told them Patterson and Mario Garza visited Knell the morning he was found dead. Before Patterson and Mario Garza arrived, Mascorro said she overheard a phone call between Knell and Patterson earlier that morning. Mascorro told Rangers that she heard Knell state, “You know what, young lady, I want my will,” according to the criminal complaint. The caretaker told the Rangers she stood outside Knells’ room and listened as the victim struggled, fighting for his life, the complaint states. She said that Patterson then instructed her to wait 30 to 40 minutes, call 9-1-1 and tell them Knell was sick after she and Mario Garza left. Authorities stated they have additional evidence that puts both Patterson and Mario Garza with Knell on the day he died. Patterson was also charged months later with several counts of theft and misappropriated funds related to Knell’s death. That same month, two weeks after Knell was buried, Patterson filed a petition for control of his estate, court records show. Seven months later, authorities arrested Patterson inside Comfort House, along with Mario Garza, who was implicated in Knell’s death. The two were charged with capital murder. Mario Garza, who confessed to participating in Knell’s murder, said Patterson had promised him a share of the proceeds from Knell’s estate, documents show. Irene Garza was found floating in a canal April 21, 1960. It was just five days earlier when the 25-year-old woman was last seen going to confession at the Sacred Heart Church in McAllen. The manhunt that followed her death yielded no arrests, and the case lay dormant for decades until late 2002, when McAllen police and the Rangers renewed their focus on the homicide after a former priest, Dale Tacheny, emerged and said a younger priest — Feit — had confessed to killing a woman in Texas during Holy Week. The Rangers also interviewed Rev. Joseph O’Brien, a McAllen priest who said he’d seen scratches on Feit’s hands after Irene Garza disappeared. He eventually told the Rangers that Feit confessed to her murder. 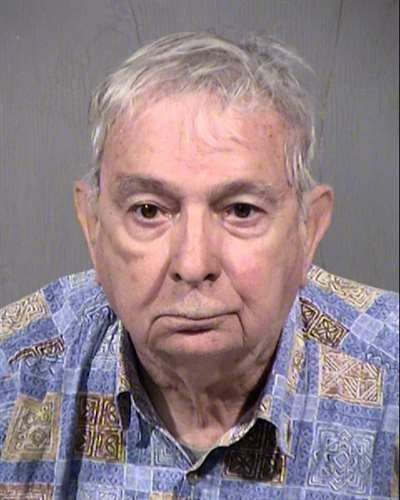 But Feit, who had previously not been brought up on charges in the case, had long-relocated to Arizona by this time, working as a volunteer for an area Catholic Charities organization. Amid public pressure in 2004, then-Hidalgo County District Attorney Rene Guerra instructed prosecutors to take the case before a grand jury, which declined to prosecute Feit, who has publicly denied any involvement in Garza’s death. Ten years later, during a highly contentious race in 2014, Irene Garza’s case proved to be Guerra’s undoing and seen as one of the primary factors leading to Guerra losing the district attorney post to Rodriguez, who at the time was serving as district court judge. Rodriguez, who had the support of the victim’s relatives, ran for the position in part with the promise of taking a closer look at the cold case, and bringing Feit to justice. 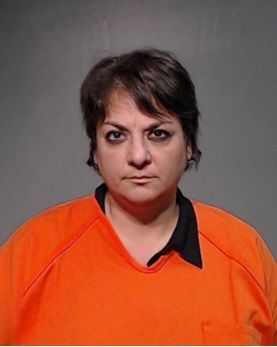 The current DA eventually re-opened Garza’s case, requested a new grand jury, which led to a subsequent indictment against Feit in early February 2016. Feit was arrested that month at his Scottsdale, Ariz. home after Rodriguez argued there was enough evidence to prosecute him. The octogenarian has remained in custody at the county jail under 24-hour medical watch due to a slew of ailments since his extradition last March. Feit’s trial, much like that of Patterson’s, has seen multiple hearings, including an attempt by the defense to move the trial out of the county, arguing that he couldn’t get a fair trial due to the overwhelming media coverage over a span of decades. District Judge Luis Singleterry, a former defense attorney considered a “defense-friendly” judge, and who coincidentally now presides over Rodriguez’s former courtroom in the 92nd district court, ultimately rejected Flores’ attempt at having the trial’s venue moved. This post has been updated to reflect that Martin Knell was not a patient at Comfort House, and that Mario Garza was not an employee there.